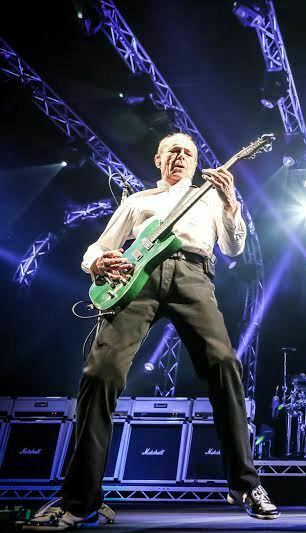 Status Quo fans are used to seeing frontman Francis Rossi taking centre stage with the band, blasting out hits like Down Down, Rockin' All Over The World and Whatever You Want. Now they have the opportunity to witness the 69-year-old rocker sitting in an armchair recounting tales from his more than 50 years in music. 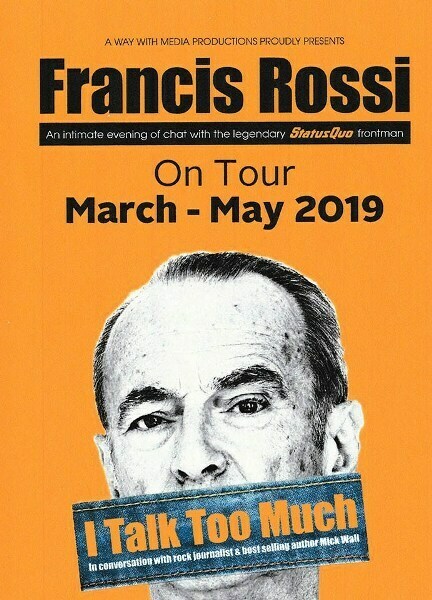 Francis is promoting his autobiography, I Talk Too Much, with a speaking tour that sees him in conversation with rock journalist Mick Wall. At a near-capacity Birmingham Town Hall he also picked up an acoustic guitar to perform some Quo gems, including Spinning Wheel Blues, In My Chair and Pictures of Matchstick Men. He used the music to illustrate the evolution of Status Quo's 'shuffle' sound, from his childhood influences of Italian songs like Poppa Piccolino to the blues grooves that co-writer Bob Young brought to the table. He explained that he penned Pictures of Matchstick Men – Quo's first hit single – as an attempt to emulate Jimi Hendrix's Hey Joe. Mick Wall introduced a number of video clips, then invited Francis to tell the audience more about them. 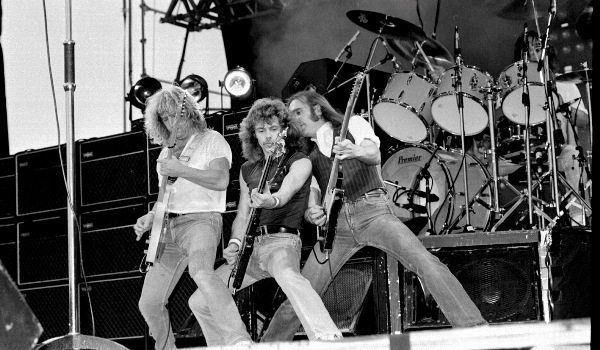 There were fascinating behind-the-scenes stories about Live Aid, which Quo opened with Rockin' All Over The World, and the band's first major split in 1984. In the first half, Francis talked about his friendship with the band Queen. At the start of the second half, there were more royal recollections, this time about the day he and Quo guitarist Rick Parfitt were each presented with an OBE by HM The Queen. He also recalled the duo's appearance on Coronation Street – and treated fans to an acoustic guitar version of the TV soap's theme tune. The most poignant moments of the evening came with Francis' memories of Rick Parfitt, who passed away just over two years ago. There was genuine sadness as he revealed his recollections of Rick's final months, particularly the last time he saw him, when Rick seemed to believe he was back in 1984. Questions from the audience, selected by Mick Wall, elicited some witty responses and the evening concluded with an acoustic version of Quo hit Caroline. The 90 minute conversation flew by – and a further half hour would have been welcomed, especially as Francis failed to mention anything about Status Quo's future plans which are keenly anticipated by the fans. This was a time when Mr Rossi did not 'talk too much'. May 20: Corn Exchange, King's Lynn.